This is the fifth blog in a week-long series to highlight the importance of disaster preparedness. Follow us this week as we take a look at how NOAA prepares for natural and human-made disasters, and how you can prepare for the 2018 hurricane season. Share your #DisasterPreparedness strategy by commenting on our blog, or replying to our Twitter and Facebook. 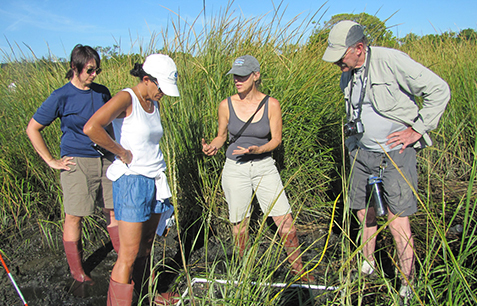 Marsh field assessment training in the Northeast region. (Image credit: NOAA). Cleaning up after oil spills and chemical releases is one important aspect to disaster response. Within NOAA’s Office of Response and Restoration, the Assessment and Restoration Division (ARD) is a group that tackles a different challenge in recovering from disasters. ARD conducts natural resource damage assessment (NRDA), which begins soon after disasters strike to determine what was harmed or “injured” by oil, chemical releases, and other marine pollutants, and what needs to be done to bring back or “restore” the environment to its pre-disaster conditions. While the NRDA can last for years after an oil or chemical spill, it begins as soon as a spill threatens fish, wildlife, habitats, and the ecological and human use services the resources provide. 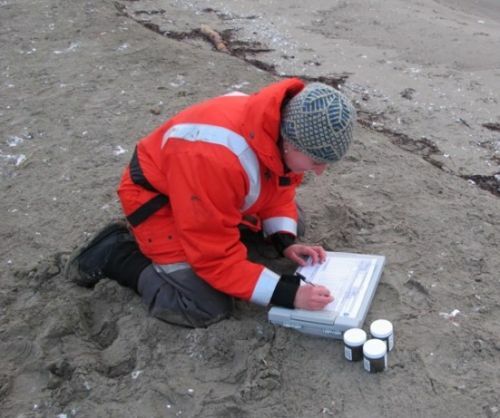 Time-critical information, also known as ephemeral data, about the environmental conditions and natural resources is important for understanding spill impacts. If early evidence of dead or injured biota and transitory presence of toxic compounds isn’t collected right away, we may never know the true magnitude of harm. This means that ARD scientists need to be prepared for rapid response to disasters, such as oil spills, ship groundings, and hurricanes. NRDA field teams train to be ready to mobilize and collect information and data shortly after disasters are reported. The concentration of oil in the water or the abundance of fish eggs on submerged vegetation in the path of a spill are two examples of ephemeral data that a field assessment for NRDA could document. To support preparedness ARD has a six person Field Assessment and Support Techniques (FAST) team whose mission is to maintain staff readiness for NRDA field efforts. The FAST program provides guidance, templates, training, and tools to facilitate rapid and consistent execution of critical components of field assessments. For example, guidelines on collecting samples and other field data, and chain of custody forms are available for a range of resources and habitats. Additionally, FAST team members have identified staffing and field gear needs for disaster response, developed and distributed materials to support NRDA spill drills, and organized in-field assessment methods trainings. NOAA often pursues funding for damage assessment and restoration from polluters, so evidence gathered for damages must be sufficient to withstand potential scrutiny in court. In the event of a disaster that leads to an oil or chemical spill, ARD staff can access resources to guide and facilitate field assessment efforts through different FAST products. For example, the FAST library archives study plans, guidelines, data sheets, agreement templates, and other documentation that can be adapted to the incident-specific needs for field assessment. The FAST team also works to make these documents available to our partners, since NRDA is a collaborative process that may involve federal, state, and tribal trustees, as well as representative of the party responsible for the spill. OR&R’s assessment and restoration work has a timeframe that extends well beyond the emergency response, but it begins as soon as a spill or threat of a spill occurs. The FAST program is an important way ARD identifies and addresses its disaster response needs. 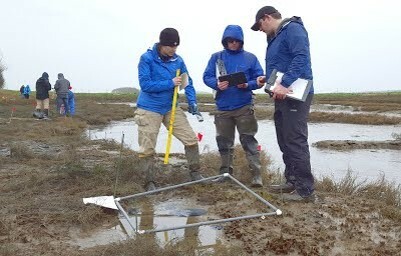 By gathering crucial but fleeting field observations and samples during and after a spill, NOAA and its partners position themselves to obtain appropriate restoration for injured natural resources and assure that the public is compensated for the lost uses and enjoyment of the resources. Using sampling guidelines and field data sheets for sandy beach field assessment. (Image credit: NOAA). Marsh field assessment training in the Northwest region. (Image credit: NOAA).